3:14 AM low -1.0 ft.
9:01 AM high 7.8 ft.
3:26 PM low -0.9 ft.
9:28 PM high 8.4 ft.
How to reach: To reach the tidal bench marks from the intersection of U.S. Highway 17 and the Torras Causeway toll road in Brunswick, proceed 6.6 km (4.1 mi) east on the causeway to St. Simons Island, right (SSE) onto Kings Way for 3.5 km (2.2 mi) to Mallory Street, right on Mallory Street for 0.3 km (0.2 mi) to end at Neptune Park and a pier. The bench marks are located between the pier and St. Simons Lighthouse, and also at the local airport. 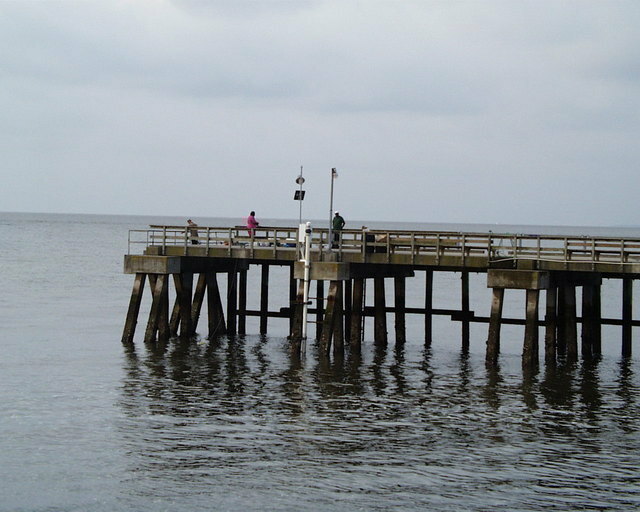 The tide gage and staff were located on the SE corner of the pier.